Conservatives in particular have a penchant for viewing Millennials as overgrown adolescents: narcissistic, entitled, dimwitted, lazy and willing to expand their horizons only when it involves a trip to a cannabis store in Colorado. The generation prior — “X” — is noteworthy for overly individualistic, poor team players, self-reliant and cynical behaviors. If conservatives wish to break through to Millennials and Gen Xers, they should emphasize national security and foreign policy. According to the Pew Research Center, two-thirds of Millennials say that relying too much on military force to defeat terrorism will create hatred that leads to more terrorism. The only threat that Millennials have a greater fear of is global warming. Millennials are the least likely to support unilateral decisions in foreign policy and intervention and least likely to see Chinese power as a critical threat. Whereas about half of Gen Xers believe that the United States is “the greatest country in the world,” only 32 percent of Millennials do. Finally, in 1994 the number of 18- to 29-year-olds who identified as Republicans was 47 percent, compared to 2014 with only 35 percent. This is all quite dire for conservatism and the Republican Party — and dire for the 2016 election. Millennials are sometimes called the generation that “makes no sense” owing to their contradictory views. Seven in 10 Millennials support government guarantees for housing, health insurance and income, yet only 32 percent reported that they preferred a government-managed economy, compared to 64 percent who supported a free market over a state-managed market. Six in 10 want to live in a society that distributes wealth based on achievement, even at the expense of unequal outcomes. Sixty-four percent of Millennials have a positive view of competition and profit. More than half reported that they would like to start their own businesses. Finally, while only 16 percent of those surveyed could accurately define socialism, 42 percent reported preferring socialism to capitalism. However, conservatives should remember who has been “educating” them. Recently, liberal New York Times columnist Nick Kristoff, added to the old chorus that has “outed” education, especially higher education, for being extremely left-wing. The hate mail that Mr. Kristoff has received is the exact proof of the liberal intolerance that has indoctrinated almost three generations of young Americans. Since Millennials and even some Gen Xers are all over the map on domestic and social policies, they need to be confronted on culture and national security. It is telling that religion may be the first key to unlocking this potential: 86 percent of Millennials state they believe in God, as do 79 percent of Gen Xers. While 45 percent of the country believes it is appropriate to engage in nation-building, 53 percent of Millennials and 46 percent of Gen Xers do, with over 60 percent of Millennials supporting “liberal intervention scenarios.” There is no more conservative opinion on foreign policy than that expressed by presidents like Theodore Roosevelt and Ronald Reagan, who combined the muscularity of American hard power with the north star of American values. 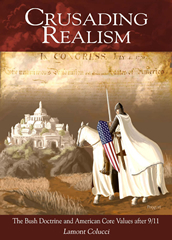 In contrast, Barack Obama has represented pseudo-realist declinism, that neither embraces power nor idealism. In general, the young love America: 70 percent of Millennials and 86 percent of Gen Xers still call themselves very patriotic (though older generations are at 90 percent plus). Millennials are the most pro-free trade with a whopping 63 percent calling it a “good thing.” If there is an antidote to their misunderstood love affair with socialism (and Bernie Sanders), this is it. Conservatives must understand that culture drives politics. Either conservatives seize the initiative, or they are reactive, cynical and dead. The best conduit for conversion is national security. Millennials and Gen Xers can be told the truth to form a permanent block not only for conservatism, but for the Republican Party. The call should go out about how wrong leftists are about national security. They are wrong on defense. It always costs more in lives, both military and civilian, to short cut defense and wait for a crisis to build. They are wrong on relegating terrorism to a crime. It was the conservatives who pursued it as a war and attempted to forestall al Qaeda, the Islamic State and the Syrian civil war. They are wrong on geopolitics and trade. They are wrong on diplomacy. Diplomacy is about advancing the interests of the American people. They are wrong on values, and conservatives need to reverse relativistic indoctrination. It was liberal appeasement that created millions of dead in the genocides of the Nazis and the communists. It was liberal inaction that brought about the death of almost one-fourth of the population in Cambodia. And it is liberal cowardice that accounts for 470,000 deaths in Syria. If conservatives want to attract the young, they must end the mindless debate among the international-relations realists, the liberals, the establishment, the grass roots and the tea party. The attempt by the left to take over the political culture of the youth started in the late 1960s. It then moved on to the Gen Xers, where the first ideas in higher education about micro-aggressions, safe spaces and free speech zones had their genesis. Conservatives ceded the ground as they did in much of culture, arts and letters. In doing so, they paid the price 10 times over. They now have an unusual opportunity to reverse it, but only with an aggressive attack that uses both the truth of our predicament and the heroic history of the American tradition. Naturally, we are using “Puritan” in the way that Hollywood does: describing those who are awkward, austere, uncompromising, dogmatic and sinister. Oddly enough, this is exactly the terminology one could use to describe members of the new faith. In reality, the Puritans were devout Christians who believed in a strict covenant between God and man. They authored the Mayflower Compact and set the stage for the development of American political thought. They composed the first notes on American exceptionalism and the obligations of Christian charity. They laid the foundation for the American Bill of Rights with documents such as the Massachusetts Body of Liberties. In contrast, Red Puritanism is removing the oxygen from our political and social lives. If Red Puritanism has a genesis story, it is in the cultural revolution of the late 1960s. What started out as the “summer of love,” turned into the Cain and Abel story of the 1968 Democratic Convention and the flood that became Woodstock without a Noah. Battered by their inability to change the system from without, they entered their New Testament period where they became the system itself. The Red Puritans virally spread until they metastasized in Hollywood, academia, the media, arts and education. It is a faith that is humorlessness. Their motivation is better described than that of the actual Puritans in the adage by H.L. Menken: “The haunting fear that someone, somewhere, may be happy.” In religion they are confirmed in either their atheism or their “light unitarianism,” which, if nothing else is anti-Christian and pro every-other-faith. They are horrified at religious intolerance, unless it is intolerance to Christians. They are confirmed relativists knowing in absolute terms that there are no absolutes, except for those described by them. One must credit them with mental gymnastics worthy of an Olympic gold medal. This is the pinnacle of secular humanism, placing this new man at the top to decry the presence of real evil as mere construct created by conservatives. It is the religion of ultimate paradox. There is no absolute good except for the laundry list they have created: multiculturalism, tolerance, atheism, socialist realism, skepticism, activist science, anti-western ideology (extra piety points for anti-American) and collective white guilt. There are no immutable goals except ending white privilege, destruction of conservatism, the cult of victimization, a reduction of American military power and the glorification of anything that shocks. They have engaged in the systemic reduction of humanity by pledging allegiance to neuro-reductionism, determinism, deconstructionism and post-modern artistic meaninglessness. They preach a personal morality that would make the actual Puritans wonder in its rigidity. They have strict doctrines on culinary, sexual, economic and environmental behavior. They have declared war on everything of value that human beings have achieved in historically, including democracy, human rights, aesthetic beauty, love and community. Here, the paradox for them is irreparable; there can be no democracy without free will, there can be no human rights without God’s natural law and there can be no beauty where there is no standard. They have no answer to any part of the world that is not western which engages in evil, barbarism and atrocity. Naturally, the Red Puritans have to punish apostates, heretics and infidels. They utilize the word “evil” or “inappropriate” to silence critics or defame dissenters with the same methods used in the Salem witch hunts. They claim an accepted moral superiority to those around them, crowning themselves in the manner of Napoleon’s coronation of 1804. They are self-congratulatory in how they can seek to understand the complex world that others cannot see. In Hollywood and the media, the pattern is depressingly similar: White Christian men are bad, America is a force of evil, western nations have undeserved privilege. In academia, the dogma is illustrated in combat against conservative students and faculty through intimidation, non-hiring, tenure denials and shunning. The crackup is coming, and it won’t be the rapture the Red Puritans have prepared for. The new Garden of Eden, which would have a smaller human population living in harmony with an untamed wilderness, is not on the horizon. The paradox they preach by using absolute terms to worship at the altar of relativism cannot endure. The Orwellian nature of their totalitarian dream is beginning to crumble, but they won’t go without a fight. They will continue their crusade until it becomes abundantly clear how morally bankrupt they are, but the beginning of the end is looming. The loss of the region to enemy forces caused resentment and despair. The central question asked was: “Why did we fight and die”? Veterans groups and soldiers were outraged, the public was in an uproar and the political leaders were tone-deaf. That state of affairs refers not to Iraq in 2014, but to another American foreign intervention long ago: the 1745 battle of Louisbourg in what is today Nova Scotia, Canada. The American side lost 561 men — mostly from Massachusetts, Connecticut, Maine and New Hampshire — in that battle and its aftermath, only to have the British trade the city back to France three years later. The exchange became one of the foundational grievances that would lead to the American Revolution: a fundamental loss of faith in government. Today, we face a similar loss of faith, but in a much different location and against a worse enemy. The focus of this current loss of faith is in foreign policy, specifically the Middle East, and Iraq in particular. The Obama administration came into office seeking any way out of Iraq, regardless of the cost. Not surprisingly, it found one. Through a steady retraction of political will, culminating with the failure of Status of Forces talks halfheartedly held with a skeptical Iraqi government, the United States ceded the high ground in post-Saddam Iraq. Not surprisingly, America’s retraction has been mirrored by a growth of the very elements we sought to combat. The culmination has been the emergence of the Islamic State of Iraq and Greater Syria (ISIS), also known as al Qaeda in Iraq and the Islamic State of Iraq and Levant. The roots of ISIS pre-date the American invasion of Iraq. For a decade prior to 2003, the CIA had been concerned about senior-level contacts between Iraqi intelligence and al Qaeda, about the use of Iraq as a safe haven and training ground for terrorists, about the presence of al Qaeda in Iraq, about the group’s attempt to acquire weapons of mass destruction, and its training in poison gas and bomb-making in Iraq. Al Qaeda’s use by Iraq prior to the American invasion for logistics, training, transit and safe haven is one of the uncomfortable realities that many in the media have actively sought to suppress. Al Qaeda in Iraq rose to the peak of its power in 2006 and 2007, but was effectively beaten back by U.S. efforts and the success of the Bush-era surge. Unfortunately, this state of affairs turned out to be temporary. The Obama administration’s subsequent 2011 decision to order withdrawal gave the group a new lease on life, and the years since have seen a steady intensification of al Qaeda activity (and attacks) in both Iraq and Syria. The cost has been enormous. The United Nations estimates that al Qaeda in Iraq, now rebranded as ISIS, is responsible for about 800 civilian deaths a month. Boasting about 15,000 fighters, it seeks to establish a state within Iraq and Syria to launch the decades-long dream of al Qaeda: the establishment of an Islamic empire under a single dictatorship. ISIS is active in Syria’s northern and eastern provinces and has taken administrative control over some of these areas. The group’s vision is global in nature, though, and so is the threat it poses. ISIS has proclaimed its intent to bring its violence to the United States itself, and several members have already been arrested in Canada and the United States. Yet, if ISIS is out to destabilize the entire region, then it is only logical that the United States make it a priority. That it has not to date speaks volumes about America’s drift and lack of strategic vision in the Middle East. The ramifications extend far beyond Iraq. America’s fumbling has handed its adversaries in the Middle East a freer hand, while giving the green light to other powers — such as Russia and China — to further their interests at America’s expense. Worse, it sent a message to all those who had lost loved ones that Iraq no longer mattered. Here, history should be instructive. Just 10 years after its hard-fought victory in 1745, Louisbourg had to be retaken with five times the casualties in the process. Hopefully, our post-Iraq reckoning in the Middle East does not come at so steep a price. The Washington Times: Is there an “Obama Doctrine”? Years from now, historians may well write that the decline or upswing in the American empire of liberty occurred during the Obama presidency. They will either write that the Obama administration’s self-fulfilling prophecy and rhetoric of decline was overcome by the overwhelming greatness of the United States or that the ultimate downfall was caused by the conditions created by this White House. Today, the country’s expert and pundit classes are obsessed, first and foremost, with the absurd autopilot of sequestration designed to protect us from adult decision-making. As a distant second, media make some mention of the pressing national security issue of the day: The use of drones in fighting what was formerly known as the “war on terrorism.” Both issues describe this presidency writ large, highlighting the desire to avoid clear and direct decisions, mixed with an overreliance on a peculiar and unmanned technology. It is a White House on programmed reflex. 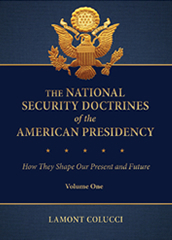 A question that I have been asked on more occasions than I care to remember is whether President Obama, in fact, has a national security doctrine. Three schools of thought exist on this matter. The first view is, at first glance, quite glib: There is a doctrine, and it can be labeled ABB — Anything But Bush. However, before we completely dismiss this attitude, one should keep in mind that the Obama camp rejected unilateralism, pre-emption, democracy promotion, prevention and, generally, the global war on terrorism. These were the pillars of American grand strategy under President Bush and the administration has struggled mightily (often to the detriment to the country) to wrest itself from the Bush legacy.The second school of thought denies the existence of an Obama Doctrine altogether. His supporters have argued that he did not need one, so he could remain light and lethal, unconstrained by the prisons of declarations and pronouncements. The president’s detractors, meanwhile, state that mass confusion and anxiety over national security issues is evidence of absence. The third school, and the one that seems to make the most sense, posits that an Obama Doctrine does exist, albeit in a form that is too messy and murky to detail fully. Rather, the Obama Doctrine represents a cobbled-together robot that issues platitudes and seeks penance. Like Presidents Carter and Clinton before him, Mr. Obama has exhibited a disdain or disinterest in this singularly important aspect of the presidency. The two campaigns that elected him president were ones where the media allowed national security and foreign policy to be pushed to the back burner, rearing their heads only sporadically. There was a moment when this could have changed. Mr. Obama, comfortable with his electoral victory, could have proved the critics wrong and set the stage for real leadership in national security. This moment, of course, was the State of the Union address. Instead, what did the American people receive? A laundry list, tacked on pro forma, made up of vague posturing: We heard that we “need” to end the war in Afghanistan by telegraphing our withdrawal worldwide. Mr. Obama blisteringly called on the totalitarians of Pyongyang to meet their international obligations. There was the continued declaration that Iran will face a serious coalition of negotiation. And finally, the strong desire to disarm our nuclear arsenal. The Anything But Bush School received a shot in the arm by the president’s inability to mention the global war on terrorism, the 60,000 Syrian dead or the aggressive moves made by China in the Pacific. If there was a grand strategy, it was the embrace of a sort of neo-isolationism. Yet this was countered by resurrecting the Bush team’s desire for more free-trade agreements, and Mr. Obama’s support of a trans-Pacific partnership. What are we left with at the start of the president’s second term? We are where we started, with a disjointed doctrine, vague strategy and ambiguity held at high altar. Mr. Obama effectively has patched together four prior presidential doctrines to form his own. He channels Nixon to achieve his burden-sharing, colloquially known these days as “leading from behind.” He invokes Mr. Carter’s multilateralism for the sake of same, and as a counter to charges of American exceptionalism. Mr. Clinton’s vision is summoned for its risk-averse nature, its faith in globalization and its worship of technocracy over ideals. Ironically, though, the only success that the president has had in national security and foreign policy is where he had been unable to shake the spirit of George W. Bush. The Bush years have granted the U.S. government now the breathing room to engage in greater counterterrorism operations and a chance to establish a permanent presence in the Arab world and Central Asia. But this “Bush Lite” strategy has been embraced only out of a sense of inertia and the harsh encroachment of reality. The areas where one lets Obama be Obama demonstrate the most dangerous results for strategy. The goals seem to be tactical: more treaties, adherence to more international organizations, an emphasis on soft power and greater diplomatic “restraint.” We have seen a souring of relations with nations such as the United Kingdom, Japan, Poland and Israel, a blind eye to Russian, Chinese and Iranian aggression, obsequiousness before the United Nations, and a glossing over of the grossest human rights violations in places such as North Korea, Sudan, China and Syria. Simultaneously, Mr. Obama’s reversal of grand strategy regarding the use of nuclear forces has been nothing short of breathtaking, signaling a reluctance to use the very weapons that have kept enemies at bay. The key to the Obama Doctrine is the need to “rebalance American commitments,” code for managing our decline. His doctrine is more about process than strategy. When he does speak on national security, the president likes to say that he would intervene if America’s vital or national interests were at stake. However, in more four years, he has never once fully articulated what he believes those to be. 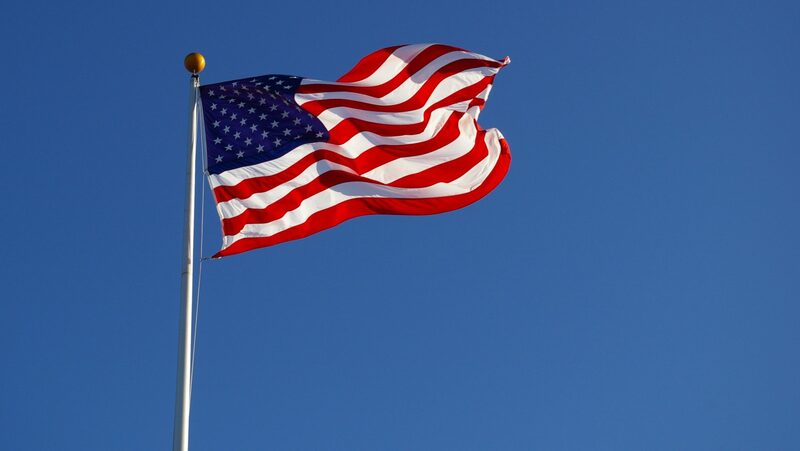 If the United States is to continue to claim its exceptional place in the annals of humankind, it has no choice but to be the only sword and shield for these. A president who fails his duty here has failed not only Americans, but all mankind. The president could still turn this ship around and embrace both the pragmatic and idealist destiny of his country. It will be his choice how history reads his presidency and this crossroads in our American epic.